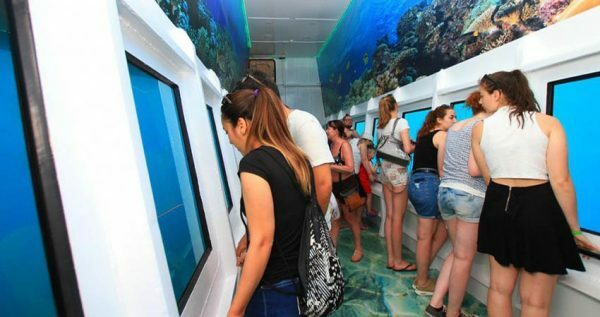 Turunc Semi Submarine Tour is an experience of a lifetime, add a little bit of adventure to your holiday this summer with Excursion Mania. 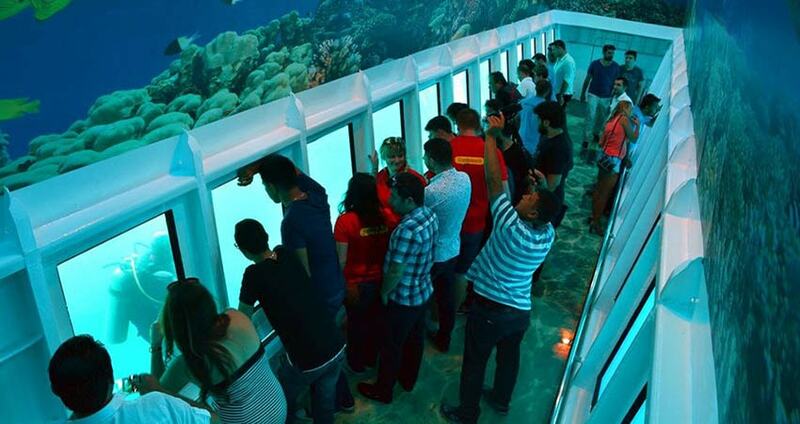 Our Glass Bottom Boat Tour has something for everyone and it can be frequented by both children and adults, but most importantly – it is affordable. We were governed by the fact that people’s expectations vary, as well as their budgets. The tour includes several convenient points, such as complementary hotel pickup service from Turunc, English speaking crew and a delicious meal. However, main focus of Turunc Semi Submarine Boat Trip is the underwater world. The boat that we will be traveling on is actually a 28 meters long yacht, but with a specially made tube set in the lower section of it. With the addition of numerous very large glass windows, this portion of the boat presents a submarine area. 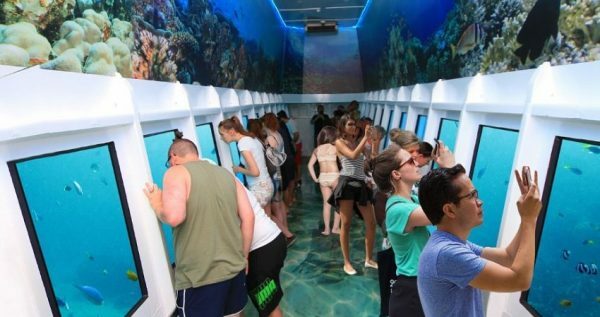 In there you will get to check out some underwater wonders. 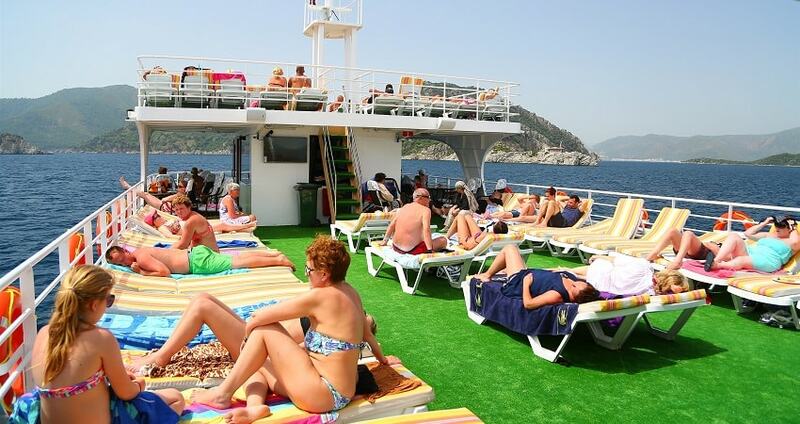 The boat is also 8 meters wide, so it has a huge deck where you can sunbathe and enjoy the view. Aside from that, the boat also has restaurants, where you can sit down and get a snack or a drink. 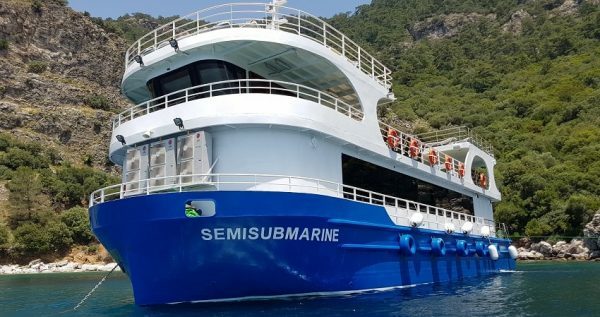 During Turunc Semi Submarine Trip we will visit several places attractive for their underwater world. One of them is Kadirga or Galleon Bay, which is famous for the ancient amphorae and anchors that lie scattered on the bottom of the sea. You will also get to see a real sunken ship in the area near the coastline of Marmaris. We will also have several breaks. 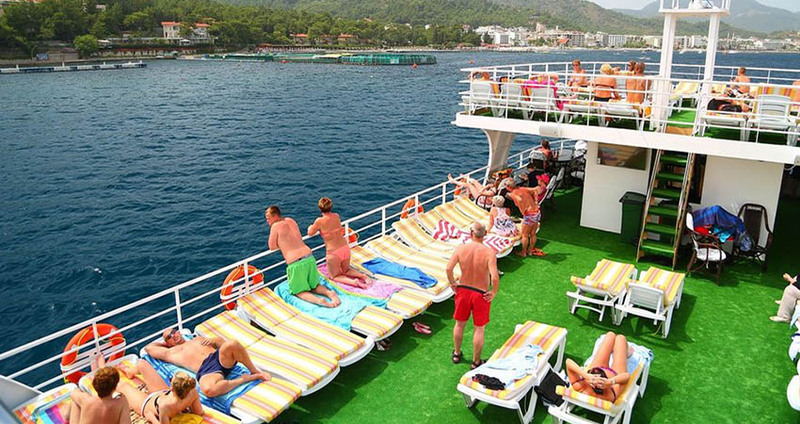 We will take a 30-minute break at Green Sea, as well as a 45-minute one at Kizilkum Beach. During these breaks you will get to swim, sunbathe or take a walk down the beach. Whether you will go out and enjoy the view, or stay inside and explore the underwater life, is completely your choice. 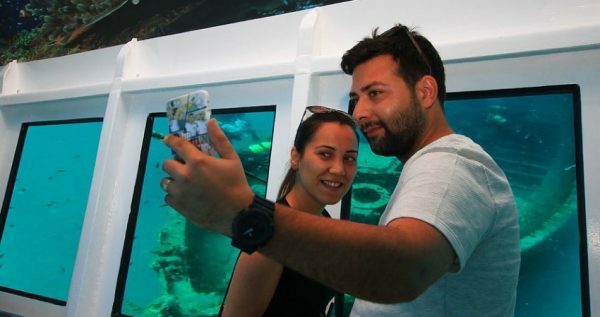 Turunc Semi Submarine tour is a memorable and innovative experience. Don’t miss out on it while you are in Turunc! 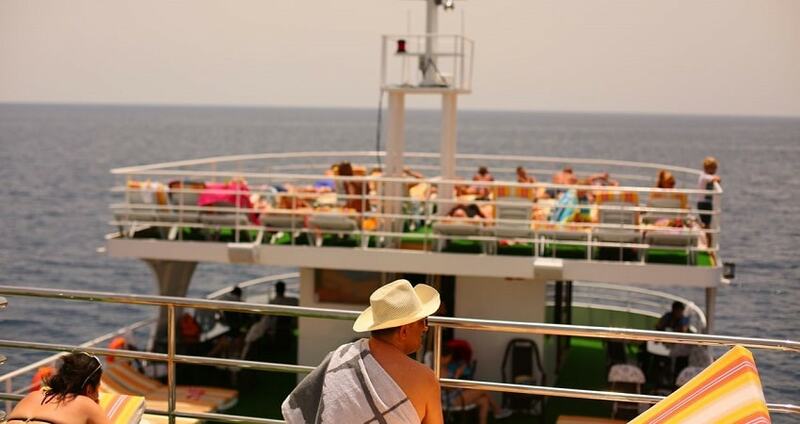 Towel, Swimsuit, Hat, Sun Glasses, Suncream, Camera. Turunc Jeep Safari is a fun day out! Check it out. Turunc Semi Submarine Tour begins when our driver comes to pick you up in front of your accommodation in Turunc at approximately 8:30. You will go for a cozy drive to Marmaris harbor, where our Semi Submarine boat will be waiting for you. Once you board the boat, we will set sail into our adventure. 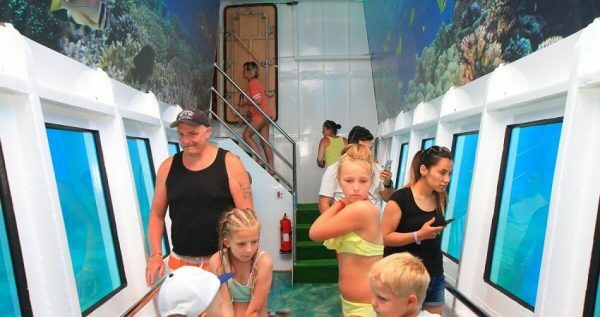 Our boat is 28 meters long and about 8 meters wide, which practically makes it a yacht. This boat is not an ordinary yacht though. It has an additional tube located in the lower part of it, and the bottom is made of glass. 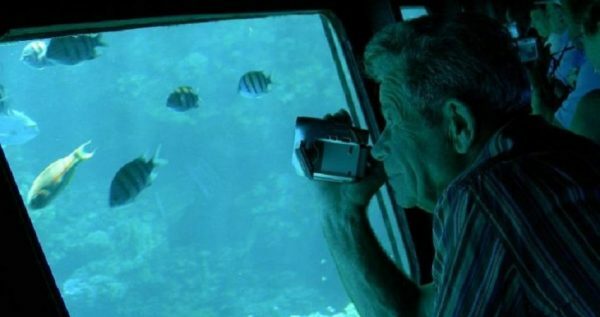 There are also big glass windows on the side so you can have a terrific view of the surrounding underwater life. The boat also features restaurants, where you can sit down, enjoy the view and get some food or refreshments. Kadirga Bay is one of our major visits on this journey, and this particular visit is mostly focused on underwater beauties of this wonderful spot. Kaidrga is favorite among underwater archeologists and divers, as it features numerous ancient achors, some over thousands of years old, as well as ancient amphorae, some of which surprisingly well-preserved. 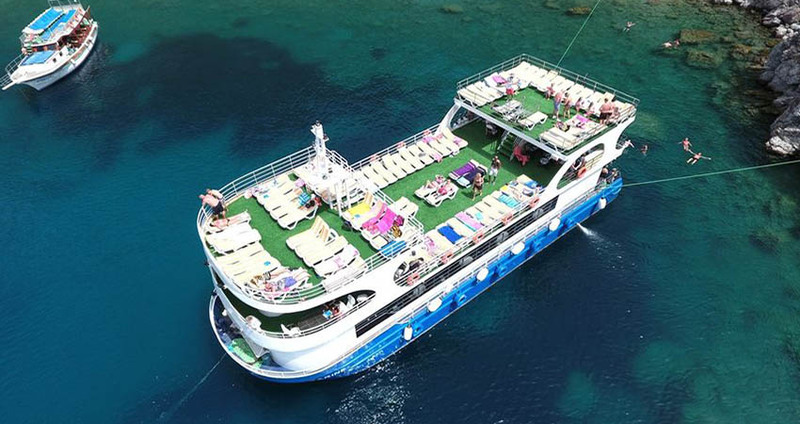 We will also sail near the shoreline of the gorgeous Marmaris, because its deep blue waters hide a secret. 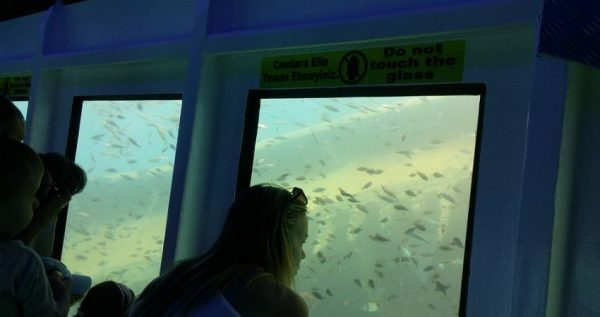 Under the surface of the sea lies a full size, sunken ship. You will be able to observe this magnificent wreck as we glide through the serene sea. During the trip we will serve lunch on the boat’s sunny deck. Lunch usually consists of BBQ chicken, fish, chips, salad and rice. As you eat you will be able to enjoy some good weather and a great view of the surrounding nature. We will take numerous swim breaks during this lovely journey. The longest break which will last for about 45 minutes will be at the Kizilkum beach. You will be able to take a swim, sunbathe or take a walk and explore the shoreline. Turunc Semi Submarine Boat Trip lasts for about seven hours. Our arrival to the harbor is expected at approximately 15.30. This tour is organized every day and the price includes transportation, English-speaking guide, full insurance and lunch.